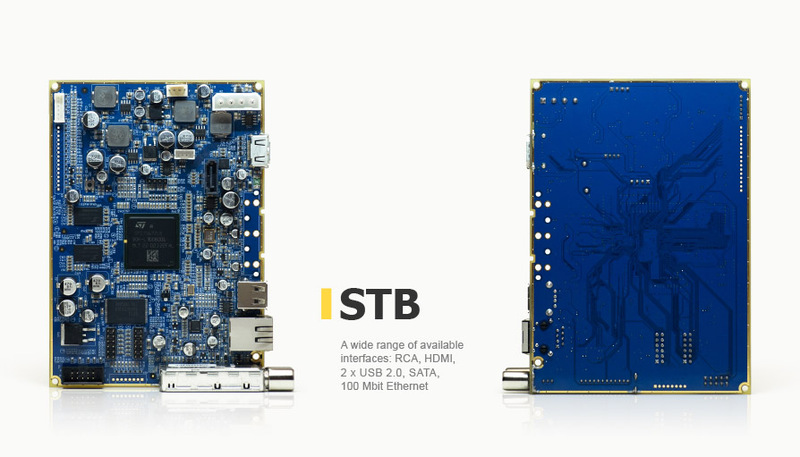 By order of SemiDevices, a Russian company, we created a reference design of a set-top box DVB-T/C + IPTV, which is intended for rapid platform development and launch of a series of new digital devices under the target customer's brand name. 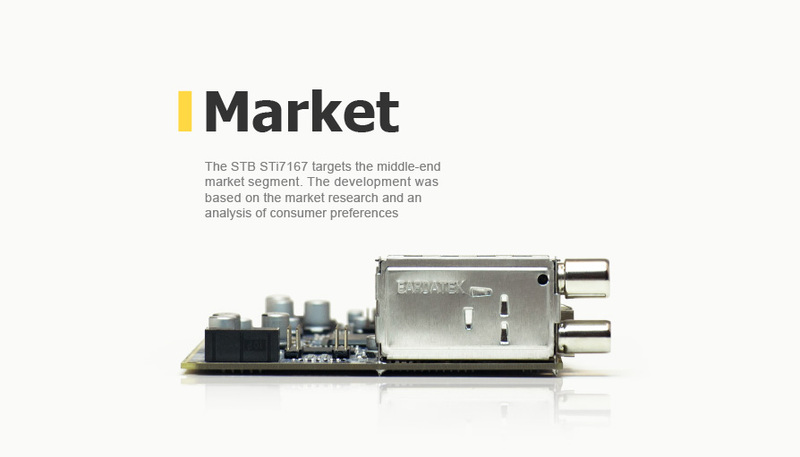 The STB supports the MPEG-2/4 H.264 format and can play standard-definition (SD) and high-definition (HD) video. 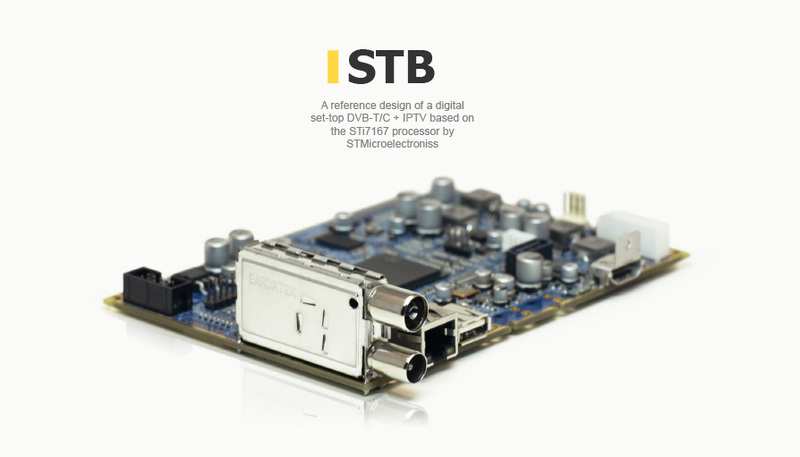 The hardware platform is based on the STi7167 processor by STMicroelectronics. The software is implemented on the Linux platform.